Use Charizard to fly to Heahea City. Heal up if you'd like, then head right and enter the Hano Grand Resort. Inside, you'll run into the mysterious man from before who reveals himself as Faba. Agree to go with him to Aether Paradise. Hau will eventually burst in and wish to join you on your trip. 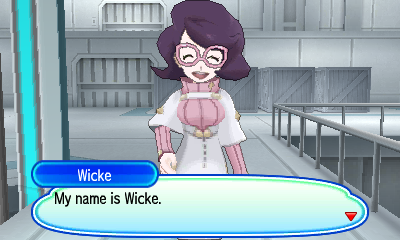 When you eventually get to Aether Paradise, you'll eventually be introduced to Wicke, who will show you around the place. After the tour, you'll eventually find yourself in the conservation area. Head left and then north to find the president. 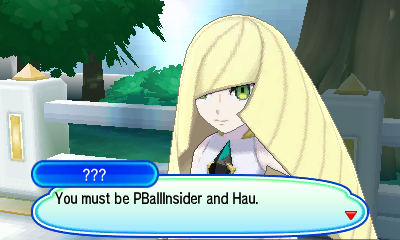 The president will introduce herself as Lusamine. 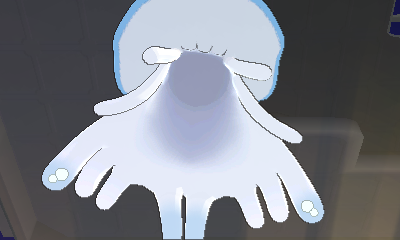 After another cutscene, an Ultra Beast will appear. Approach it to engage in battle. This creature is Rock and Poison type, so keep that in mind during the fight. After dealing enough damage (or fainting) the Ultra Beast will flee. Afterward, Wicke will give you TM29 - Psychic and bring you to Ula'ula Island. 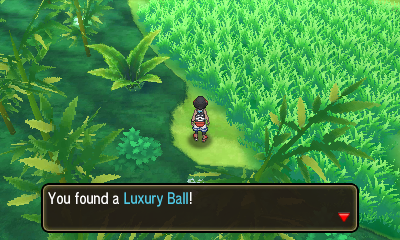 Once on Ula'ula Island, heal up at the Pokémon Center and then head left to battle Hau. Upon winning, you'll be rewarded with a Lycanium Z. Now head north into Malie Garden. Head left in the garden and you'll quickly run into a trainer and a Luxury Ball. Head north and across the bridge and you'll eventually run into Professor Kukui. 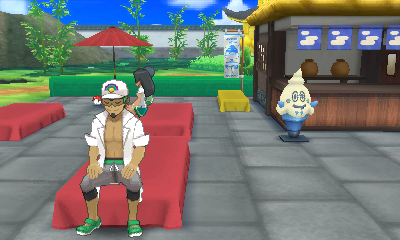 If you explore the garden to the north a little more, you'll find a Rage Candy Bar, a Big Mushroom and another trainer. Futher left you'll also find TM73 - Thunder Wave. Head south into Malie City. 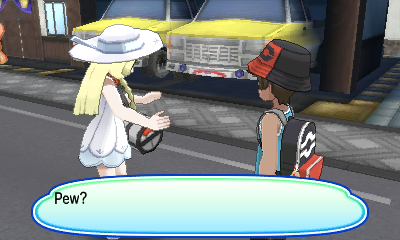 You'll run into Lillie right away. Follow her to Malie Library by heading left and north. Head to the second floor of the library for another cutscene with Lillie and Acerola. Head left out of the city onto Route 10. 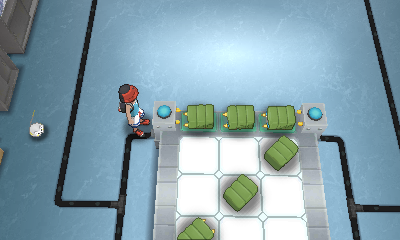 Head left and follow this route for a trainer battle and a Super Potion. 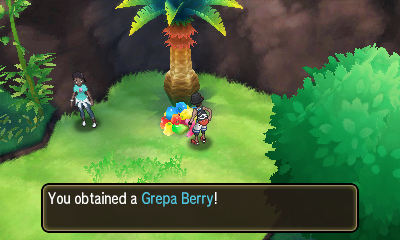 Further left you'll find a berry tree, a Max Revive and two more trainers. 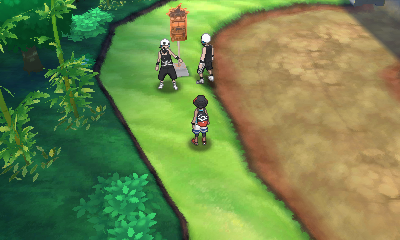 When you approach the bus stop, you'll be confronted by two Team Skull grunts. You'll need to defeat both of them in battle. 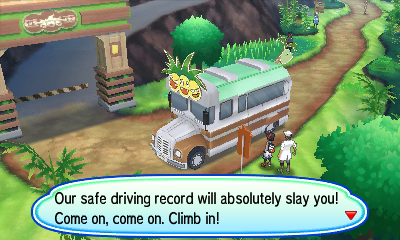 Afterward, Proessor Kukui will join you and you can take the buss to Mount Hokulani. 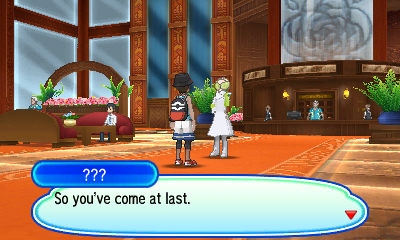 After a brief cutscene with Kukui, head towards the observatory to meet Molayne. 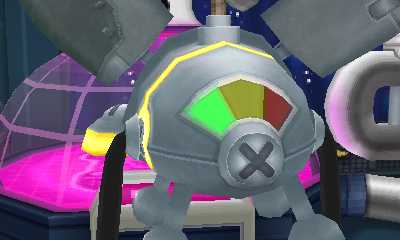 He'll give you Steelium Z before letting you into Hokulani Observatory. Speak to the man at the desk to the left for a Comet Shard. 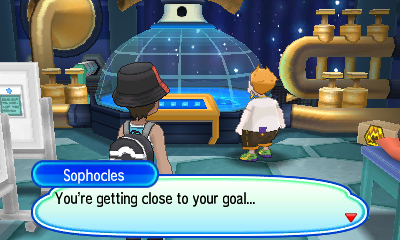 Continue through the two door to find Sophocles. After speaking to him, exit the observatory for another cutscene. Check under the rocks in the lot for a couple Charjabug, and then find the last one by the southwest corner of the building. You'll be brought back inside the building and you can enter the purple and yellow door to start the Trial of Sophocles. 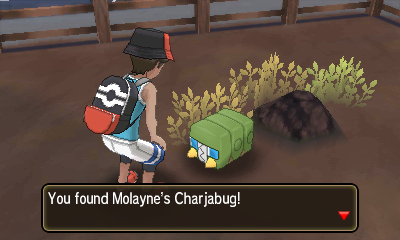 For the first part of the trial, use the upper-left node and then the uppder-right node to connect the Charjabug in a line. You'll then need to defeat a Lv. 29 Elekid. For the next sequence, use the bottom-left node once and the bottom-right node twice and then defeat a Lv. 30 Electabuzz in battle. For the final part of the trial, use the upper-right node once, the bottom-left once, and the upper-left twice. This will form a Z shape. 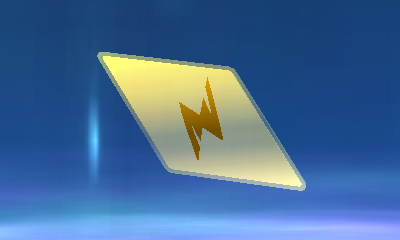 This will summon Totem Togedemaru. The totem Pokemon will be a Lv. 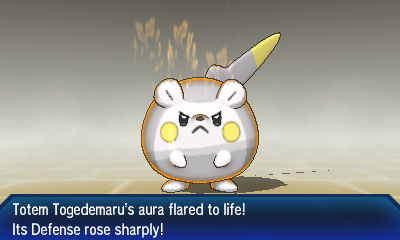 33 Togedemaru. This battle can be quite difficult with ally Skarmory using Stealth Rock and Torment and the totem Pokémon using Spiky Shield, which will block any attack. A strong Ground type will work best for the totem, but you'll need some non-Ground type moves to deal with Skarmory. You'll be rewarded with Electrium Z after the battle. A brief sequence will have Sophocles introduce you to the Battle Agency. You'll also get the Professor's Mask afterward. The Trial of Sophocles is now complete!